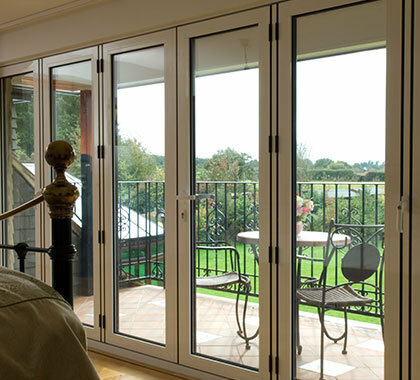 Aluminium bi-fold doors can provide a stunning alternative to Patio or French doors and offer you a modern space-saving solution for your home that will definitely give it the “wow” factor. 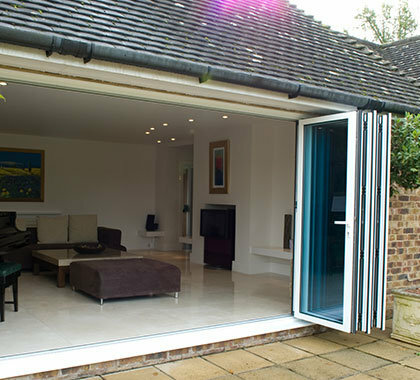 Thermally efficient, they provide warmth and comfort and their contribution to a reduction in heat loss could mean a saving on heating bills. 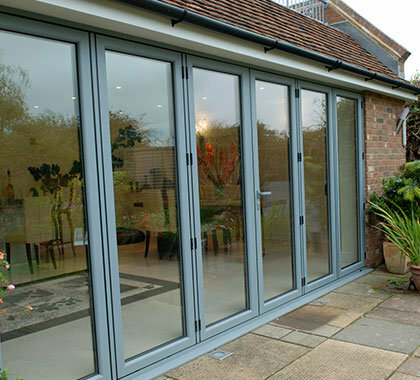 The rigidity of aluminium sections means that these bi-folds show more glass and less frame than the uPVC option. 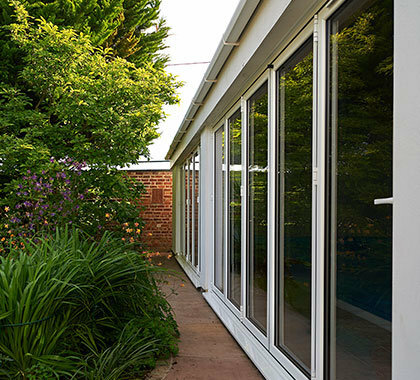 The standard finish for an aluminium bi-fold is white (powder coated) which is guaranteed for up to 25 years, (although this can be scratched if mishandled). 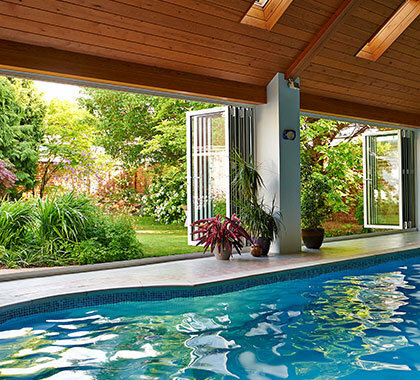 Alternatively, a RAL colour is possible. 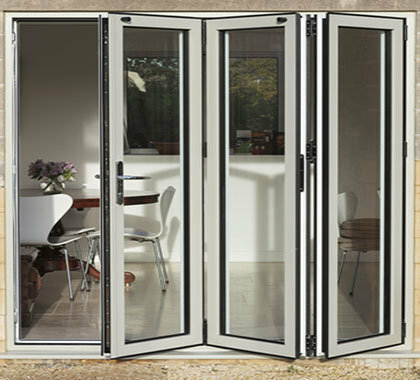 You could choose one colour inside and another outside. 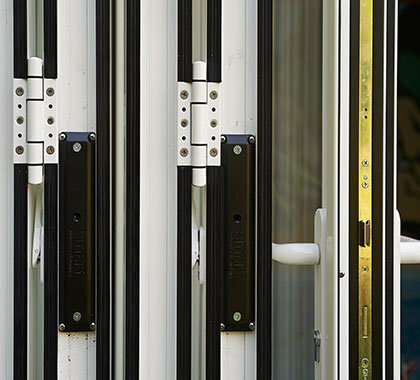 To make a real feature of your bi-fold there is also a wide choice of metallic finishes and for the final touch, colour-coded handles, hinges and roller carriers are available.